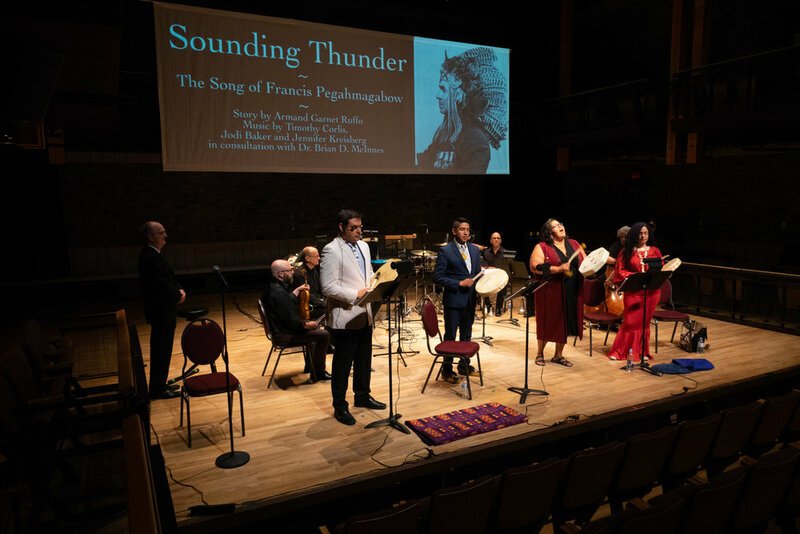 Sounding Thunder: The Song of Francis Pegahmagabow, the story of Ojibwe war hero Francis Pegahmagabow, presented its debut performances at Festival of the Sound, Elora Festival and the Toronto Music Festival. The last performance will be at Ottawa ChamberFest July 31. Mixing music, song, spoken word and video projections, Sounding Thunder: The Song of Francis Pegahmagabow was commissioned by clarinetist James Campbell, Artistic Director of Festival of the Sound these past 33 years. Campbell commissioned Sounding Thunder. It was a bold move, one that deserves its own standing ovation. Assembling some of Canada’s finest performers to make it shine made it even more compelling. If we can get this kind of art to mend the injustices of several centuries, maybe truth as well as reconciliation actually stand a chance. Each Saturday morning, CBC Radio 2's This is My Music is hosted by one of Canada's foremost international classical artists.﻿ The host selects a program of mainly classical music and presents it in a lively, engaging manner enriched with personal anecdotes and insights. Saturday, July 19, 2014, 10am-noon, CBC Radio 2 will air James Campbell’s segment of This is My Music. Kicking off May 5 at The Speirs Centre in Palmerston North, New Zealand, the tour hits Wellington, Christchurch, Invercargill, Dunedin, Auckland, Hamilton, Napier, New Plymouth and Nelson. For a complete schedule visit Chamber Music New Zealand.